The Muslim population in Europe not only faces an increase in number of Islamophobic hate crimes since the recent attacks in Paris, but they also suffer due to legal loopholes that allow such offenses to go unpunished, experts told Anadolu Agency. Discrimination against Muslims in Europe has increased since the November 2015 Paris attacks that killed 130 people and injured many others, Bekir Gunes, head of Belgium-based think tank Thinkout, told AA on Feb. 19. He added there were certain legal loopholes in Europe that did not punish people who commit Islamophobic crimes. “In most places you cannot open a case personally [over a complaint of Islamophobic crime],” he said, adding that certain new legal arrangements for such crimes should be made. Azra Junuzovic, who is the deputy chief of the Tolerance and Non-Discrimination Unit under the Organization for Security and Cooperation in Europe, said on Feb. 19 that intolerance and discrimination against Muslims posed a serious problem. Junuzovic also said discrimination against Muslims is on the rise, according to recent research. 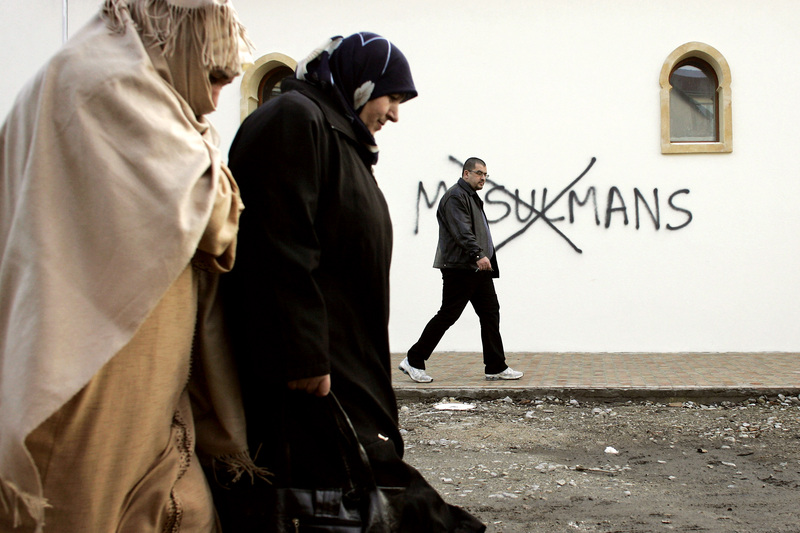 More than 40 million Muslims live in Europe, according to the U.S.-based think tank Pew.